This is an in-depth guide on how to start teaching English abroad with a focus on teaching in four Asian countries: Korea, China, Taiwan and Japan. It does not focus on the teaching or training part of that. For that I recommend either the course or some of the other resources. You can read some of this guide below by following the links or you can purchase the whole thing on Amazon. I have personally taught in China, Korea and Taiwan. This guide will help you choose a country, a school, an age group, polish your resume, stand out and probably answer any questions you have about teaching in Asia. 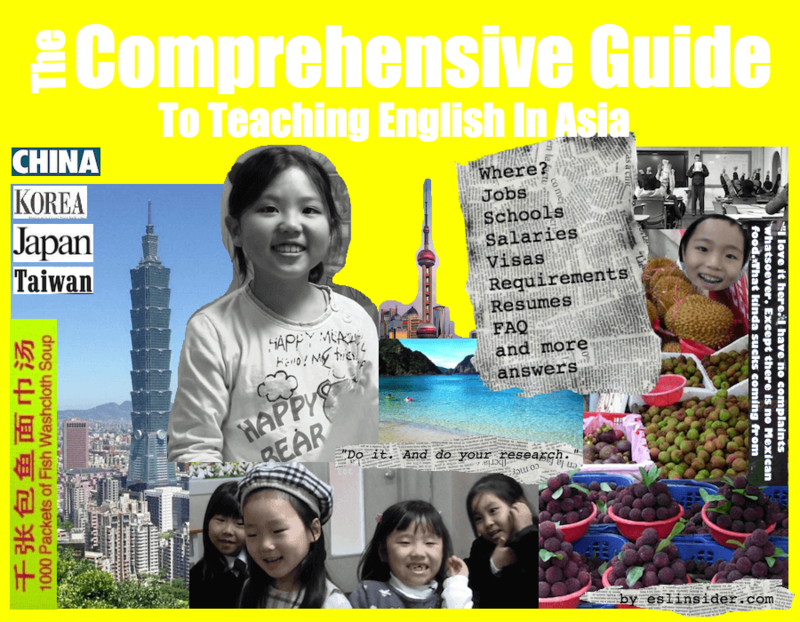 Check it out the Comprehensive Guide To Teaching English In Asia on Amazon. 7. Still not sure where you should teach? 8. Do I want to work in a public or a private school? 9. What age group do you want to teach? Do I have to speak their language? Do I have to teach for one year? Can I teach without a degree in Asia? Can I teach without a TEFL certificate? Can I teach without experience? What if I am not Caucasian? What are the salaries for teachers in East Asia? Is there FREE housing and airfare? Can I still teach in Korea if I have a criminal record? Should I take a TEFL/TESOL/CELTA course? Do schools in Asia have vacations, summer and winter breaks like western schools do? Who speaks the most English? What does TEFL, ESL, EFL, and TESOL mean?